AutoTrader may be the 10th most visited website in the UK, but they approached WDAD for our creative expertise to help them design and build a careers site that matched that billing. Trader Media Group, owner of AutoTrader, approached WDAD to ask us to help them with the recruitment of a large number of UX and Java Developers and other IT specialists to join their 230 strong Technology team based in Cheshire and SW London. As a leading digital organisation, our proposal focused on designing and building a destination careers website that lived up to the company’s billing. The current site, whilst highly functional, provided little in the way of engagement and no real answer to the question of, “What’s in it for me?” for anyone that visited it. The site we launched addressed these issues head-on with video content and a real focus on the culture, career progression and the rewards on offer. Even the url for the site sums up exactly what the organisation is all about: www.digitalpioneers.co.uk. The organisation had a site that ticked all the boxes and drew significant traffic numbers from its first day. 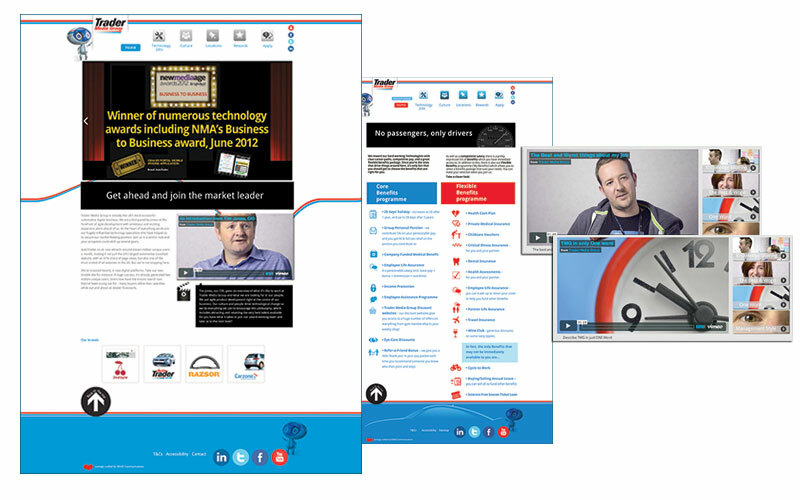 Further phase development is planned for next year and we’re now working with AutoTrader on their external attraction and internal engagement piece with the Technology careers site being the centre piece of the strategy.